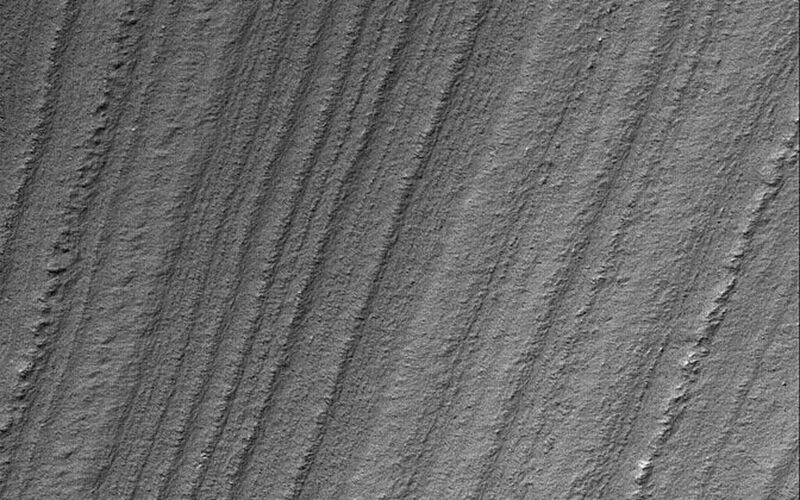 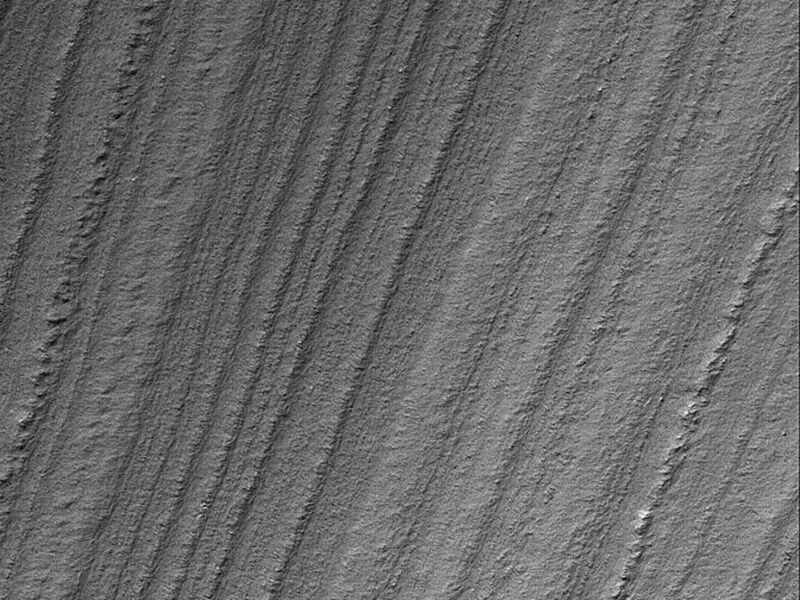 This Mars Global Surveyor (MGS) Mars Orbiter Camera (MOC) image shows a mid-summer view of layered terrain in the south polar region of Mars. The general hypothesis that has been around since the Mariner missions to Mars in the late 1960s and early 1970s is that the layered material in the polar regions is composed of some combination of dust and ice in unknown proportions. 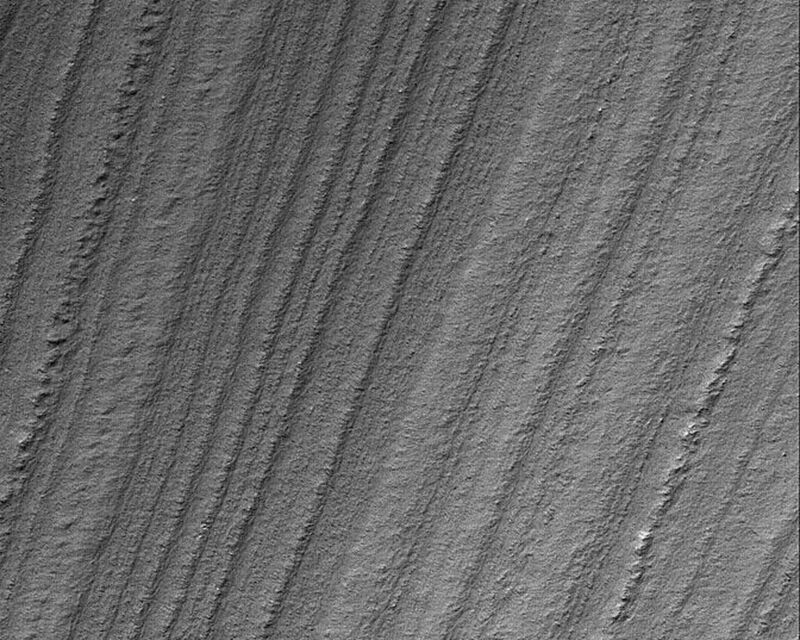 Alternatively, the layers might be ancient sedimentary rock, perhaps protected from erosion by millennia of seasonal ice caps covering the region for, roughly, half a Mars year.